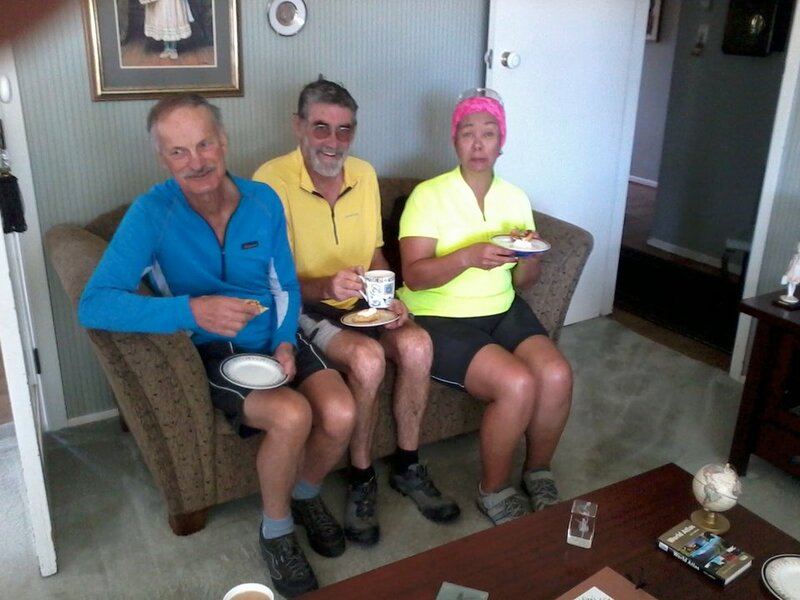 at her place some time for morning tea as part of a Howick Saturday ride. 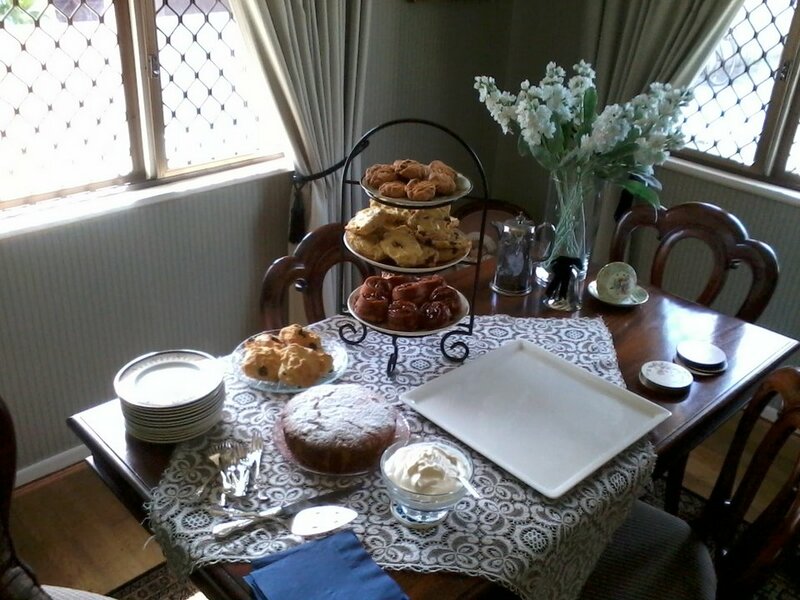 We were greeted by this lovely spread. And there were hot savouries too. But they were shy and did not want their photos taken. 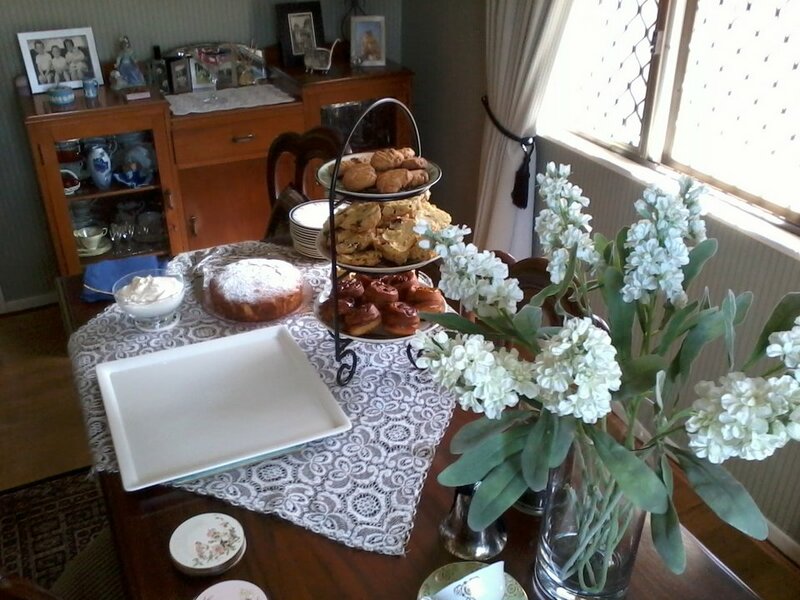 High Tea - Papatoetoe Style. 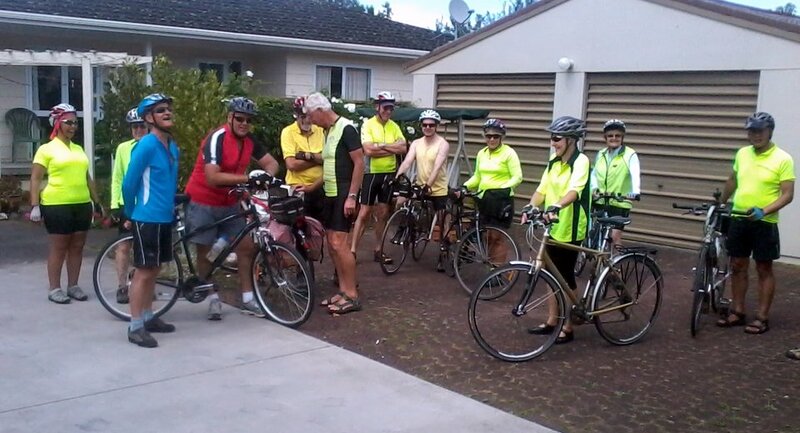 then headed briefly to Old Papatoetoe, and then back to our various starting points. Thank you very much Margaret for your wonderful hospitality.